Cottage cheese is a forgotten protein- packed dairy food. That’s why I’m sharing Five Delicious Ways to Eat It on my blog today. I’m on a breakfast kick lately. I spend a lot of time helping clients figure out how to get adequate protein in their morning meal. I’ve shared ideas for eating breakfast on the fly in the past, but one food that is often forgotten is cottage cheese. I have to be honest about my relationship with cottage cheese – it hasn’t always been a positive one. It wasn’t my willingness to try it – it’s the texture that was tough for me to swallow. Thank goodness I didn’t give up on this protein-packed food. It can be eaten alone, paired with other foods or used in cooking. Try one of these cottage cheese creations the next time your pressed for time or looking for an easy breakfast idea. 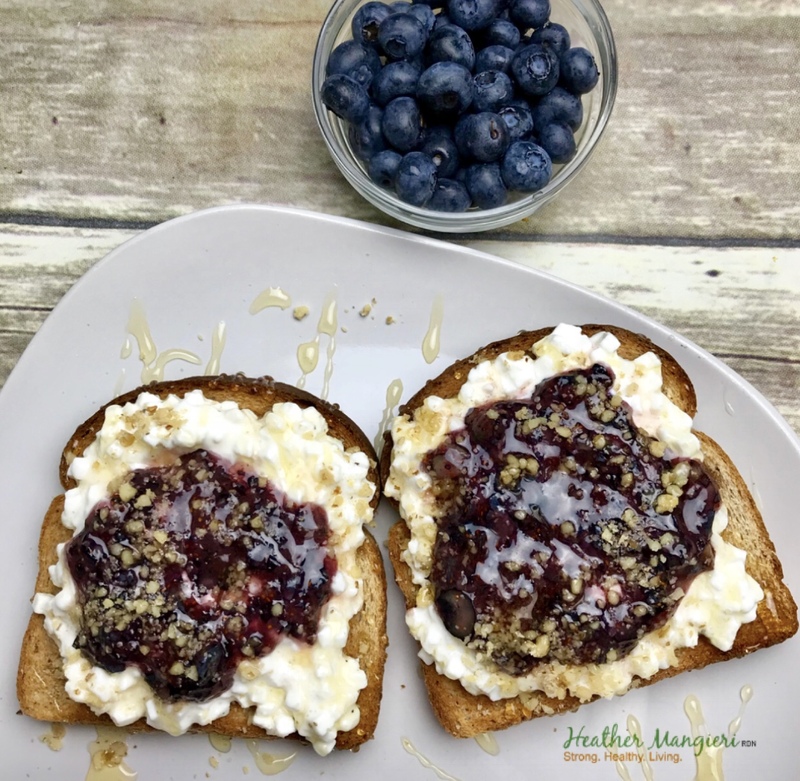 Cottage cheese topped with blueberry spread is a perfect combination of sweet and savory all in one bite. To make, toast one or two pieces of whole grain bread then top each piece with cottage cheese. For this nutritious meal, I pulsed ¼ cup of blueberries in my food processor to make a berry spread, then topped with crushed walnuts and finished it with a honey drizzle. Cottage cheese is a great way to pack protein into a fruit smoothie. 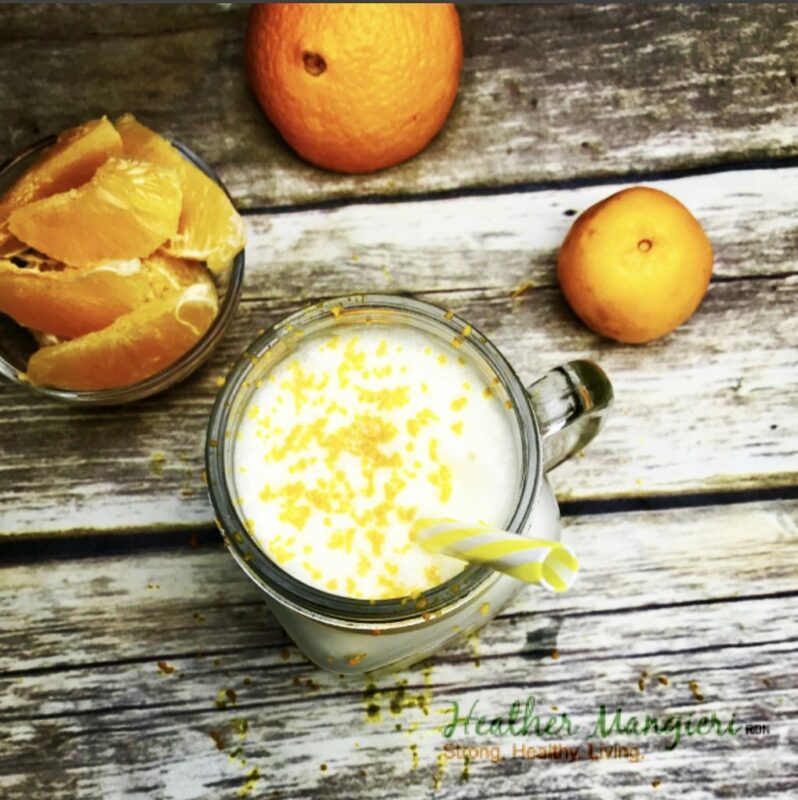 This Orange Breakfast Smoothie combines 1 whole orange, ½ cup skim milk, ½ cup cottage cheese, 1 tbsp. sugar, 5-6 drops of orange extract and ice. Load all ingredients into a food processor, blend, pour and go. If you prefer savory flavors, this pairing is for you. I sliced two pieces of freshly baked pumpernickel then transferred them to the toaster oven. 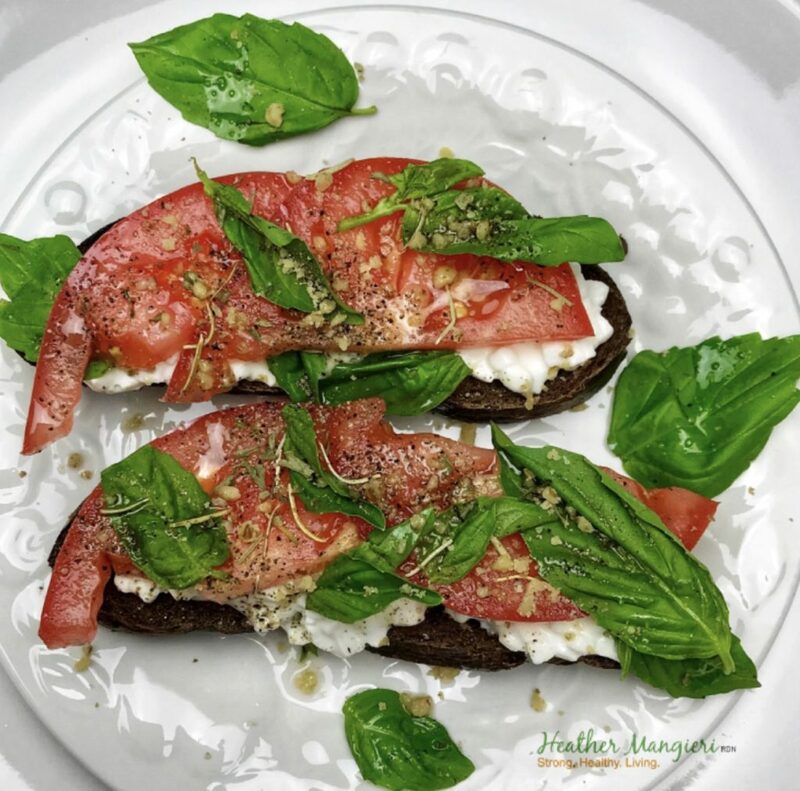 Once toasted, I piled on cottage cheese then topped with fresh basil, a few thick slices of tomato and drizzled with olive oil. Don’t worry – if breakfast isn’t your time for savory foods, this nutrient-rich meal is delicious any time of day. It doesn’t get much easier than this 3- ingredient breakfast. 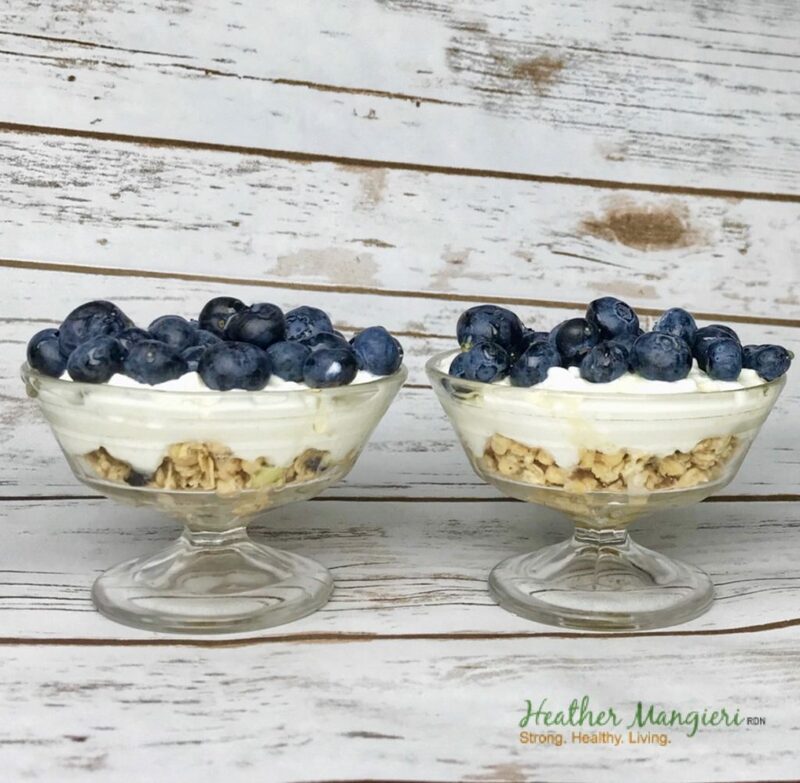 Pour 1/3 cup granola into a dish, then top with cottage cheese and berries. This protein-packed pancake recipe is directly from my book, Fueling Young Athletes. Not only do these taste great made fresh, you can freeze the leftovers and heat them up for another meal. Do you have a favorite way to eat cottage cheese? Share it with me in the comments below.